Posted March 3, 2016 by Clare Counihan & filed under News. J.K. Rowling. Courtesy of Debra Hurford Brown and the Guardian. Brief Biography: J.K. Rowling was born in England, where she grew up with her two parents and younger sister. When she was younger, she wrote fantasy stories that she shared with her sister, laying the foundation for her career. In 1982, Rowling took the entrance exams for Oxford University but was not accepted. Instead of giving up, she graduated from the University of Exeter in 1986 and moved to London to work as a researcher and bilingual secretary for Amnesty International (Fraser, 34). On a delayed train in 1990, she thought of a story of a young boy attending a school for wizards—the birth of Harry Potter. In 1992, she married and had her first child in 1993. Shortly after, she separated from her husband and moved in with her sister, bringing her daughter along with her. She felt as if she was a failure because she was jobless and had a “failed” marriage while having a little girl depend on her. She used writing as a way to escape reality. Rowling received welfare benefits, and she felt as if this was as poor as she could get, without being homeless. In 1995, she finished the first manuscript for Harry Potter and the Philosopher’s Stone. She submitted the book to 12 publishers, and all of them rejected her. Tenaciously, Rowling submitted the manuscript a year later to Bloomsbury publishing house, and they decided to publish it. Her hard work paid off: received so many awards, including “British Book Award” and “Children’s Book of the Year, that in 1998 a US publishing company bought the rights to publish the novel. Her career took off, and she published six books in the series. Harry Potter is now worth about $15 billion dollars and is translated into 65 languages. She now uses her resources and talents to help different organizations. She is the president of a charity, Gingerbread, and helps write children’s stories to help one parent households. Why should you know about her? 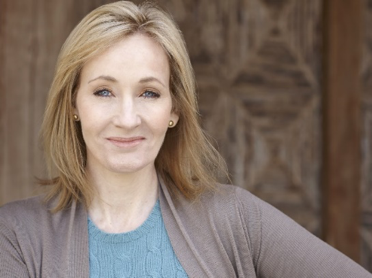 Rowling’s “rags to riches” story is one of the most notable of our time. Her resilience during some of her darkest and poorest times allowed her to create one of the best, if not the best, book series during our time. Harry Potter has transformed her life and the lives of children around the world. She was able to use her passion and talent to liberate herself from poverty. Rowling had to balance single motherhood and her career. For instance, she took her infant child on walks to local cafes because that was the best way for her baby to sleep, and she carved out time to write her book while her baby slept peacefully. She understood the stigma surrounding single parenthood even as she became famous. Journalists often referred to her as the “Single Parent [who] Writes Amazing Children’s Book.” On one of her first interviews, a journalist asked her why hadn’t she felt the need to find a job instead of staying at home, writing a book. Instead of dealing with her frustrations in a hostile manner, she decided to become a patron of the Gingerbread organization. Rowling remarried in December 2001, and the couple had their first child in March 2003 when she was writing Harry Potter and the Half-Blood Prince. She stopped writing the book to take care of him, understanding that balancing career goals and taking care of her family is hard work. The scale of parenthood and career goals will not always be balanced; it is a complex process to balance and negotiate these roles. One may take priority over another temporarily and that is not a bad thing. Rowling was able to find success in embracing parental life and career goals, and she became successful the way she saw fit. Fraser, Lindsey. Conversations with J.K. Rowling. London: Scholastic, 2001.